Three bedroom home steps from McArthur Island Park. 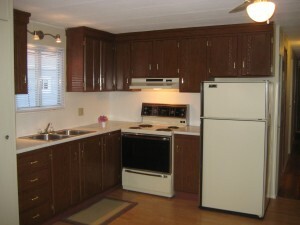 Centrally located near shopping, recreation & transportation. Large yard, air conditioning & all appliances included. Updates include laminate floors, sealed roof, carpet, window coverings. Park does not sign site lease, no rentals & pet restrictions. Call for your appointment today. Quick possession.